is a clarinettist whose versatility encompasses a broad range of musical styles. At the Amsterdam Sweelinck Conservatory, she studied with Herman Braune (Bachelor's Degree, with Distinction) then with George Pieterson (Master's Degree, with Distinction). After graduating, she became active in many diverse musical fields. Céhas been a member of the Brabant Orchestra since 2002, while also pursuing her passionate commitment to chamber music. As a member of numerous chamber ensembles, she has performed throughout the Netherlands and around the world. 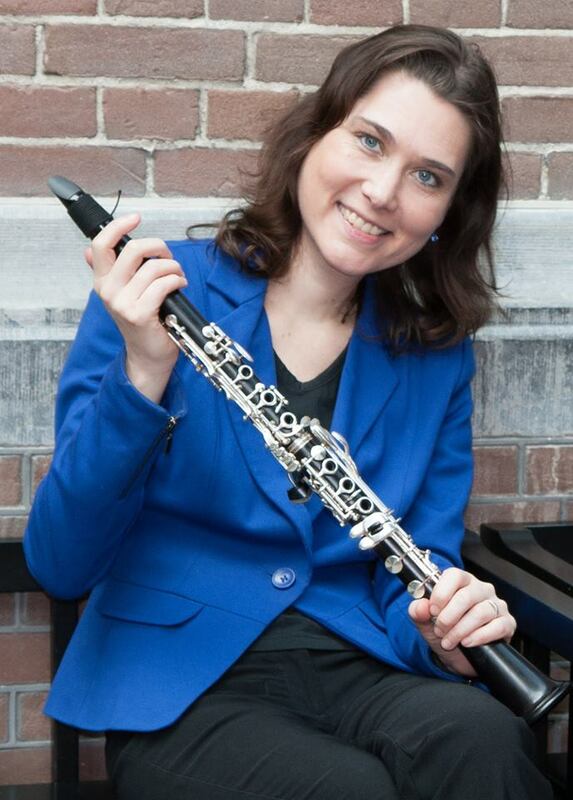 During the past two seasons with the A(i)rco Ensemble (woodwinds and strings), she toured Istanbul and took part in the Robeco Summer Concert series in the Amsterdam Concertgebouw. In 2011, with the Trio Amare (soprano, clarinet and piano), she performed a new work by Dutch composer Willem Wander van Nieuwkerk. She is also a member of the Lucebert Trio (clarinet, viola/tenor violin, piano) and Dacace (violin, clarinet, piano). She has also given many recitals with pianist Jaap Kooi. Cétook first prize in the 2001 'Vriendenkrans' competition (organized by the Concertgebouw and Concertgebouw orchestra), along with numerous other awards, including the Press Award, the Audience Award and the Eduard van Beinum Award. The following year, she won the prestigious Philip Morris Art Prize. She was selected to perform in the 'Rising Stars' international concert series for the 2003-2004 season, an extended tour that took her to all the great concert halls of Europe, and marked her debut at Carnegie Hall in New York. Composer Robin de Raaff wrote a work especially for her ('Chalumeau'), which she performed on this tour, and again in July 2005 at a major international clarinet festival in Tokyo. Several other composers have also written works for her, both as a soloist and as a chamber musician. She has also worked with many renowned composers, such as Karlheinz Stockhausen, Otto Ketting, Theo Loevendie, Theo Verbey en Sofia Gubaidulina. She has recorded numerous CDs with her various chamber ensembles, as well as a 2006 recording of Mozart's Clarinet Quintet and Kegelstatt Trio with the Van Dingstee Quartet, with whom she frequently collaborates. In Messiaen's commemorative year of 2008, with a piano trio she gave eight performances of 'Quatuor pour la Fin du Temps,' and performed it again in the fall of 2010 and November 2011. She has also played with the Holland Wind Players. As a featured soloist, she has made frequent appearances with many orchestras. She frequently organizes chamber music projects for unusual combinations of instruments, among others with harpist Lavinia Meijer. Since the summer of 2006, she has taken part in the Peter de Grote Festival, giving numerous concerts in the Dutch provinces of Drenthe and Groningen. In march 2008 she became artistic director of the biennial chamber music festival 'Kamerklanken'. Next season's festival will begin on September 16, 2012. Céis also an active and enthusiastic teacher, dedicated to the education of young musicians. 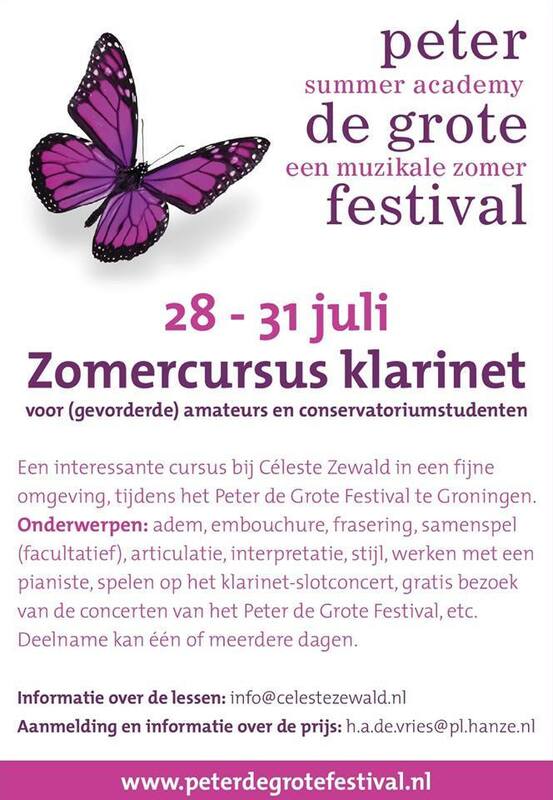 She is a professor at the Utrecht Conservatory and the Prins Claus Conservatory in Groningen. She frequently gives workshops and master classes at home and abroad, and often sits on juries for (inter)national competitions. CéZewald is a member of the Board of Council of the National Fund for Musical Instruments.